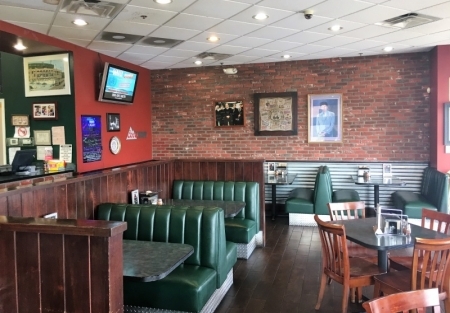 If you are looking for a pizza restaurant location with huge visibility and some of the busiest vehicle traffic in this city, here it is and at a Bargain Priced. This Restaurant is in Phoenix in a super busy shopping center. This restaurant has been a staple in the area for 10 years! Established in their current location in 2007. Restaurant has easy in and out access and most of their business, is take-out and eat-in. With easy low labor type orders. Delivery can dramatically add to sales and profit. This owner is NOT pushing delivery sale so new owner can increase sale. Gross sales for 2017 were $573,102.47dollar. A good owner operator should be able to net 100k+ once proper systems are in place to achieve industry standards. Are you an operator with experience and a plan for success? This could be the opportunity you're looking for. Rent is $4,283 total within the number base on the $573k gross sales. Gross sales have been increasing to over 573k in the last three years as well. Currently this is a franchised location and seller has paid over 25k in franchise fee's last year. The restaurant is 2300sq. feet with rent of $4,300 Total rent or approximately 8% of yearly sales, right where you want to be to allow for cash flow. Go to SellingRestaurants.com to get more information!